In the deep jungles of Africa, a traveler was making a long trek. Coolies had been engaged from a tribe to carry the loads. The first day they marched rapidly and went far. The traveler had high hopes of a speedy journey. But the second morning these jungle tribesmen refused to move. For some strange reason they just sat and rested. On inquiry as to the reason for this strange behavior, the traveler was informed that they had gone too fast the first day, and that they were now waiting for their souls to catch up to their bodies. This whirling rushing life which so many of us live does for us what that first march did for those poor jungle tribesmen. The difference: they knew what they needed to restore life’s balance; too often we do not. Upon our arrival in Addis Ababa we will not only change our clocks but our entire relationship to time. Relationships – including lengthy greetings – will be more important than schedules. We will operate at a new, slower pace of life. For three weeks Becky and I will be without the relentless flow of information, the bloated in-boxes, and the jangling telephones of American culture. This does not mean, however, that we will be without a schedule. In fact, we will be very occupied indeed with teaching and evangelism. For those of you who would like to pray for us, Becky Lynn describes our itinerary (along with specific prayer requests) below. Before you read it, please let us tell you again how much your thoughts and prayers mean to us, and especially to our Ethiopian brothers and sisters. May the Lord Jesus bless you! Thursday, Dec 14, …leave Rosewood Farm 10:00am, …leave Raleigh-Durham Airport (RDU) 3:06pm, …leave Dulles Airport in Washington DC 5:55pm. Friday, Dec 15, ….leave Frankfurt 10:30am, …arrive Addis Ababa, Ethiopia 9:10pm; clear customs. Saturday, Dec 16….exchange money, deposit money, oodles of misc. business items, 6:00pm…Family Dinner with our Ethiopian children. Sunday, Dec 17…preach in an Ethiopian church; rest. Monday, Dec 18…6-7 hour ride on a public bus to Alaba Town. Tuesday to Friday, Dec 19-22…In Alaba Town, Dave teaching men & leaders; Becky teaching teachers; visit Mohamed the prisoner & Haile the barber; meet with elders for debriefing of church things (persecution, Bibles, buildings, next summer’s team). Saturday to Sunday, Dec 23-24…Preaching for the whole congregation. Monday, Dec 25...visit district villages, Keranzo #1 (Hajji Mohammed’s church), Keranzo #2 (Hajji Usman’s church), teaching congregation & leaders. Tuesday, Dec 26…visit churches in Bedene and Mogdola, teaching congregation & leaders. Wednesday to Thursday, Dec. 27-28...visit Galaya, church, teaching congregation & leaders. Friday, Dec 29...visit church in Kukae, teaching congregation & leaders. Saturday to Sunday, Dec 30-31...visit church in Dada, teaching for leaders and for entire congregation, visiting our son David's family, showing Jesus Film. Monday, Jan 1...travel back to Alaba Town (& get an Alaba shower J). Tuesday to Thursday, Jan 2-4…In Alaba Town, Dave working with Translation Team (for Bible in Alaba tribal language); Becky teaching women & tutoring in English, interview for book. 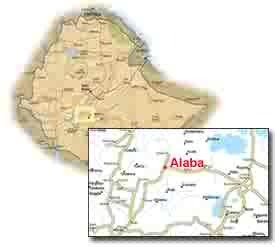 Friday, Jan 5 … leave Alaba, take public bus back to Addis...leave Addis at 10:50pm. Saturday, Jan 6 … arrive Frankfurt 6:10am, leave Frankfurt 1:00 pm, arrive Dulles 3:45pm, leave for RDU 9:50pm, arrive RDU 10:55pm. Monday, Jan 8 ... Dave starts teaching J-term Greek.